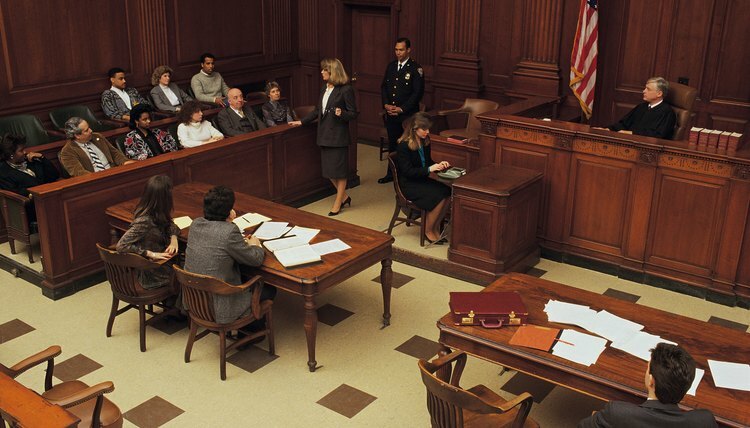 Most people try to avoid dealing with the legal system, and getting a divorce may be your first contact with the courts. The divorce process can be confusing because much of the legal terminology differs from ordinary, everyday words. With that in mind, courts often use the terms "divorce" and "marriage dissolution" for the same thing. Knowing which states make a point to distinguish the terms, however, can help avoid confusion. A divorce is defined as "the legal dissolution of a marriage by a court or other competent body." Divorce is the term we hear used most frequently in conversation. Certain state courts, however, may use the more technical term "dissolution of marriage" for the same action. Although these words are often used interchangeably, the technical term may be used in court or on forms. At least one state makes a distinction between divorce and dissolution of marriage, yet the result is still the same: ending of the marriage. In Ohio, the term divorce applies to situations in which one spouse alleges the other is at fault for the collapse of the marriage. The faster and generally less expensive process for terminating a marriage, when neither spouse contests the decision, is referred to as dissolution. In that case, the parties reach a settlement agreement prior to the filing of the petition, which must address issues related to property, any minor children and debts. Differences from state to state over terminology can sometimes be explained by whether the state still allows fault grounds for divorce or whether the state is pure no-fault. States that allow fault grounds more frequently use the term divorce while no-fault states use the term dissolution of marriage more often. For example, in Oregon, a pure no fault-state, the term used in the state's laws is dissolution of marriage. By contrast, Alaska, a state still allowing traditional fault grounds, uses the term divorce in its laws. An uncontested divorce and a no-fault divorce are not the same thing. Contesting a divorce simply means that one spouse challenges what the other spouse wrote in their divorce petition. A spouse can contest issues other than the reason for the divorce. For example, a spouse could dispute a proposed property distribution or child custody arrangement. Ohio State Bar Association: Divorce and Dissolution: What's the Difference? Alaska State Legislature: Section 25.24.050. Ohio couples can choose an uncontested divorce, called a dissolution, in which they agree to the divorce and on all major issues. However, if spouses cannot agree on one or more issues, they will enter into a contested divorce instead. In Ohio, dissolution and divorce have different procedures, but both result in the termination of a marriage. Divorce is the most common way to end the marriage relationship. However, states also recognize an alternative mechanism for canceling a marriage, referred to as an annulment. Annulments effectively return both parties to a position as if they were never married, thereby avoiding the need to resolve many of the major issues that need to be addressed in a divorce. This often results in a quicker and less costly option for qualifying couples.